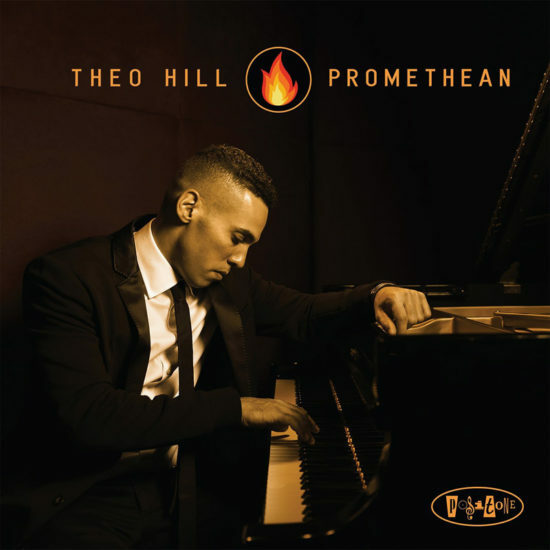 Cover of Theo Hill album "Promethean"
Theo Hill is a dynamically percussive pianist, so it’s not surprising that the musicians who have inspired him have been primarily drummers and likeminded keyboardists. As its title indicates, Promethean “steals fire” from these demigods—principally Tony Williams, Mulgrew Miller, Herbie Hancock, Kenny Kirkland and Jeff “Tain” Watts—for a bold hard-bop showcase also featuring bassist Yasushi Nakamura and drummer Mark Whitfield Jr. The album is book-ended by tunes inspired by the Williams-Miller tandem. “This Here,” a funky, poppy melody Bobby Timmons wrote for Cannonball Adderley, is rendered closer to the spunkier piano-trio rendition found on Williams’ Young at Heart disc. He closes with “Citadel,” a burner from Williams’ Civilization album with Miller. Dues are also paid to the less-heralded gentler side of Williams, via covers of the ballad “Pee Wee,” from Miles’ Sorcerer album, and Hancock’s “Finger Painting,” from the V.S.O.P. set list. Hill feels more muddled and less incisive on “Blasphemy” and “Chance,” two songs, from Kenny Kirkland’s eponymous debut, with shifting moods. But these are exceptions—the dominant motif of Promethean is that of a young pianist reveling in the imperial command of his instrument. 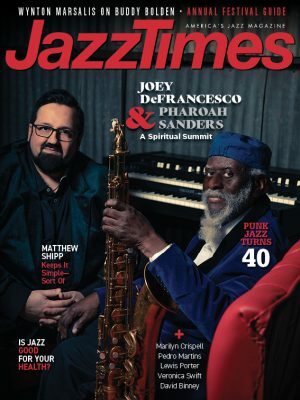 You hear it on his lone original, “The Phoenix,” composed in tribute to Watts, which competes with “Citadel” and a cover of Chick Corea’s “Litha” as the most incandescent, two-fisted hard-bop pieces on the disc. And don’t overlook the stylish rendition of Duke Pearson’s “Is That So,” the rare occasion where the rhythm section is allowed a democratic share of the spotlight. Preview, buy or download songs from the album Promothean by Theo Hill on iTunes.